Work one-on-one with our most experienced Elite Tutors and get real results! Before my first session with Tim, I lacked confidence in my knowledge of the material for the MCAT and ability to break down science and CARS passages in an efficient manner. He gave me tips and tricks to work through passages, and provided easy-to-understand explanations for the questions I struggled with. 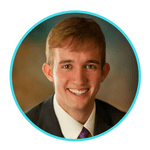 He is exceptionally knowledgeable about all aspects of the MCAT and wants nothing more than to see you succeed. He goes the extra mile to ensure your understanding, no matter how long it takes. Within a few weeks I felt more confident and was able to increase my score on my practice exam by 9 points. I would, without a doubt, recommend Tim to anyone that needs help on any aspect of their MCAT preparation. Ming-Yeah was a kind and supportive tutor who helped me raise my score from a 507 to a 512 in only 2 sessions. She helped me figure out what test-taking strategies worked best for me. She is not only knowledgeable but she also great at helping you put information into context with other things you need to know for the MCAT, and therefore solidifying your knowledge all around. She knows the exam inside and out. I really appreciate how much time and effort she put into our sessions. I highly recommend her to everyone. One of the biggest challenges I faced was not knowing how to review endless amounts of material and strategy on practice exams. On mini exams and full lengths, I was struggling with timing and breaking the 500 barrier consistently. I met with Timothy a couple months before my test date and he helped resolve these shortcomings. Timothy laid out a perfect weekly study plan and realistic goals to complete each week. I felt encouraged by his enthusiasm and desire to see me succeed and conquer the MCAT. Timothy knows how to teach to your understanding and is always willing to go above and beyond to make sure you understand concepts. I was so impressed by the amount of preparation he put in our tutoring appointments even before the tutoring appointment started. One topic we focused on a lot was specific strategies for tackling problems on practice tests. After applying and practicing the strategies, I got 10 points higher on the next practice exam I took the following week. Working with Timothy has been a great blessing, and you will find that your goals are very achievable with his help. Having Ming as a tutor gave me so much confidence as I approached studying for the MCAT. 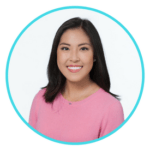 Ming demonstrated her belief in my abilities by taking the time to explain confusing concepts and going over all of my questions one by one through easy to schedule and flexible, accommodating online meetings. She also helped me organize my study schedule and made sure I did not feel overwhelmed with material by keeping me focused on the bigger picture. I previously struggled with approaching the questions properly but with her help I went from a 503 on my AAMC diagnostic exam to a 513 on my AAMC practice tests. She was always prepared for every tutoring session and she provided me with tons of useful material, charts, diagrams, and explanations. She even kept in touch with me beyond scheduled tutoring sessions by phone! Ming is truly a kind and caring person; I am so glad she was my tutor for this monstrous exam and I am confident that Ming would be a great help to any MCAT-taking aspiring medical student just like she helped me! While all our Elite Tutors are exceptional, what makes our Premium Elite Tutors unique is their experience helping their students get the results they want. Premium Elite Tutors have demonstrated a consistent ability to help their students improve. Each of the 15+ testimonials collected by our Premium Elite Tutors is proof to their ability to satisfy their students. Having worked with many diverse students, they know how to achieve success in a variety of circumstances. "I felt more equipped, prepared after my session with Tim. He asked very good questions that got my brain going. He also gave tips that very useful. I also appreciate the thought put into question explanations and providing external resources. I even felt more calm and confident after just two sessions with him. Excellent overall!" "I'm really grateful for how well Ming explains things, and her belief in me despite having the exam in a couple days is really motivating." "Timothy went above and beyond for me! I really enjoyed getting to meet with him! What I really appreciated the most was the practical advice that he gave me. Leading up to the MCAT it was hard to understand where I should even begin studying or how to best use the time I had, but Timothy helped me see what was realistic and possible. I have seen great results from meeting with him. He is a incredible tutor!" "My tutor helped raise my confidence. My questions were all answered with a lot of depth. I was helped in making a solid plan and working through what I needed to do next." "The feedback on questions was really helpful to see patterns in my mistakes! I appreciate Ming taking the time to dissect my mistakes and suggesting improvements." 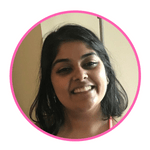 "I left the session less anxious and stressed which will only help me focus more on my mcat prep!" 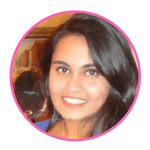 "Ming really took time inputting valuable resources into my study portal and guiding me on what to focus on." "Great at tailoring the session to my needs." "Making a clear schedule gave me motivation and a good study plan." "I really liked the useful tips and planning ideas." "He was prepared and answered all my questions well." "Very informative and made me feel ready to take on the MCAT. Looking forward the next session." "Does a great job of motivating and individualizing a plan." "I was satisfied, thanks for helping!" "Laid out a clear path to seeing improvement and provided links to help me hone my CARS skills." "Loved being asked to put concepts in words while looking at visuals in front of me. Really helps with my visual perception issues." "I was SO happy to have someone with whom I could discuss my plans. I am a big believer in creating a plan and sticking to it in a disciplined manner, as long as it is sound and goal-oriented. With Tim, I am confident I can do just that. Thank you, Tim." "Tim is very organized and non judgmental. He is truly there to help me succeed." "Tim is very understanding my personal struggles with the mcat. I truly feel like he is here to help me conquer them." "Polite, personable, and offers honest feedback and advice." "Awesome session today working towards building my study plan!" Choose the Premium Elite Tutor that meets your needs! Timothy completed the entire MCAT Self Prep Program leading up to his 99th percentile MCAT score. 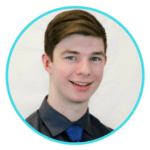 As MCAT Self Prep's Lead Practice Question Editor, a 6-year veteran tutor, and a BS/MD student, Timothy knows how to help students solve even the most challenging MCAT questions. Ming achieved a 99th percentile MCAT score with a 100th percentile score in the Behavioral Sciences Section. 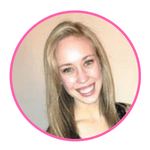 She has extensive tutoring experience and is currently a BS/MD student at UConn. Her students think of her as extremely intelligent, friendly, and skilled at teaching concepts simply. Students simply in need of a customized study plan. Students who want to pay as they go. Students looking to try it out before committing to a larger package. Students needing help with a single weak area. Students on a very tight financial budget. Students looking for a boost during their final month of MCAT studying. Students needing significant help with a single weak area. Students on a tight financial budget. Students looking for a significant boost during their final month of MCAT studying. Students needing help with several weak areas. Students struggling to make score improvements. Students wanting to follow up with a tutor regularly (i.e. weekly). Students needing significant help with several weak areas. Students really struggling to make score improvements. Students wanting to follow up with a tutor regularly (i.e. biweekly). With PayPal Credit, you can gain instant access, pay zero interest, and even defer payments for up to six months. Don't let financial constraints prevent you from earning the MCAT score you need to achieve your educational goals. Start working your way to becoming a physician today using PayPal Credit during checkout. 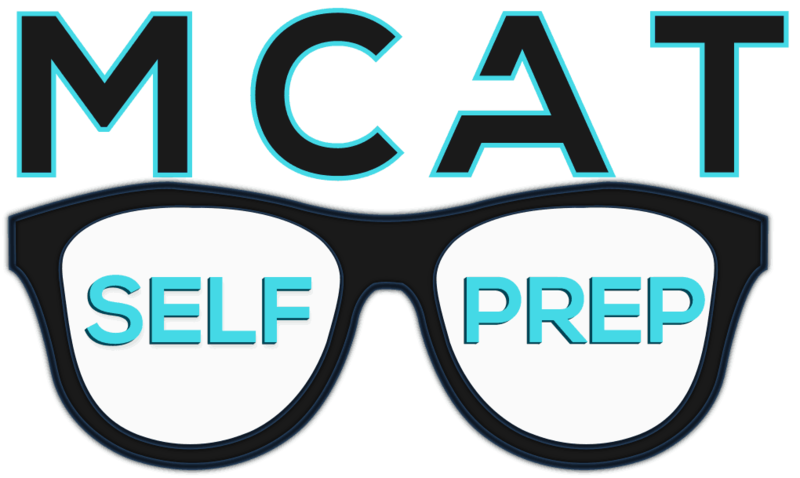 How is the MCAT Self Prep Elite Tutoring Program different from other MCAT tutoring services? Best Prep: MCAT Self Prep only hires tutors that scored in the 97th percentile or higher on the new MCAT with most of our tutors having scores in the 100th percentile. We also require each of our tutors to obtain 5 testimonials from past students before they can even begin working for us. Most importantly, our Elite Tutors all earned their top scores using the MCAT Self Prep Program, so they know our recipe for success. Because we are so confident that you will have the best experience, we stand behind our Money Back Guarantee. Best Price: Our prices cannot be beat. We are so confident that you won’t find a lower price that we have a Lowest Price Guarantee. If you can find a tutoring package with a lower price, we will match it! While most MCAT prep packages out there cost thousands upon thousands of dollars, we are committed to giving you the best possible price with tutoring sessions starting at just $99.99 each! If you are not sure which plan is right for you, simply request a free consultation with Andrew and he will point you in the right direction. He’s worked with hundreds of students and knows what you’ll need to achieve your goal in your unique situation. I need help with the CARS section. Can an Elite Tutor help me with that? All of our tutors are qualified to tutor for every section of the MCAT, including the CARS section. In fact, research has shown that the very best way to improve one’s reading comprehension abilities is through one-on-one tutoring. If you really struggle with CARS, we’d highly recommend our Ultimate CARS Strategy Course. This course includes 10 Virtual Video Sessions with Head Tutor Andrew (a $4,499.90 value) in which he will walk you through key research-based reading strategies that have helped many of his students improve their CARS scores by 40 points. Bundling this course with Elite Tutoring as part of a CARS Course PLUS Plan will save you close to 10-percent on your tutoring purchase. Click here to learn more about this popular package. How do I start meeting with a tutor? To start meeting with your tutor, simply choose the tutoring package that meets your needs, add it to your cart, and complete the checkout process. Afterwards, you will receive an immediate confirmation email with detailed instructions for getting started. You can immediately start our Create-your-own Study Plan Course, which will walk you through developing a rough draft study plan using the Study Plan Spreadsheet. You will also gain access to your Study Portal in which you can start adding topics/questions for your tutor. After assessing your needs, we will quickly match you to a qualified Elite Tutor. Upon assignment, they will promptly reach out and share their calendar with you, so that you can schedule your first meeting. Can I try before I buy? Is there any sort of Money Back Guarantee? All of our tutoring packages are covered by our Money Back Guarantee, which promises your money back for all remaining sessions if you are at all dissatisfied before your third session. Additionally, if you are dissatisfied with your Elite Tutor at any point, you can always request to work with another Elite Tutor. Your satisfaction is our top priority. What is a typical tutoring session like? How long is each session? How often will I meet with my tutor? How does scheduling a session work? The great thing about our program is that it offers you the flexibility to study at your own pace and on your own schedule. You do not need to meet with your tutor at the same time every week for a set number of weeks. After each session, you will be able to choose any available tutoring slot from your tutor’s online calendar, whether that slot is two months from now or two days from now. You choose the time that works for you! Students love having this flexibility. Can I defer my payment or pay in increments over time? Yes! Using PayPal Credit, you can postpone your payment for up to 6 months without paying any interest, and you can even spread out payments over a period of up to three years! Getting approved is extremely easy (if you have a credit card or some sort of credit history) and only takes a few seconds. To apply for and use PayPal Credit, you’ll simply select it as your payment option during checkout. Click here to learn more about this payment option. I am a low-income student and am worried about being able to afford private tutoring. Will I be able to afford this? MCAT Self Prep offers the best price around: Kaplan charges $266 an hour to work with a tutor that barely scored in the 90th percentile. All our tutors scored above the 97th percentile and sessions start at just $99.99! PayPal Credit makes it possible for you to spread out your payment over time: Using PayPal Credit, you can postpone your payment for up to 6 months without paying any interest, and you can even spread out monthly payments over a period of up to three years! Getting approved is extremely easy and only takes a few seconds. We care: If you are in true financial need, please contact us, and we will figure out something that will work for you. We are committed to making a high MCAT score possible for everyone no matter their financial situation. Is there any way to meet in person with my tutor? All of our tutoring sessions are conducted online, and our students find this to be just as effective, if not more effective, than meeting in person. The online Study Portal shared between you and your Elite Tutor allows your tutor to prepare and input detailed explanations to all of your questions. You can continue to access and refer back to these detailed explanations after your tutoring session is over. Also, the online, interactive white board allows both the tutor and the student to draw out their thoughts when necessary. Last of all, students really enjoy the fact that they can visit with their tutor without having to ever leave their apartment! What if I don’t use up all of my sessions? If you don’t end up using all of your tutoring sessions before taking the MCAT, we’d recommend using them for application guidance, essay editing, and interview practice. Your sessions will never expire and can be used anyway you’d like. What if I end up needing more sessions? When you purchase a tutoring package, we provide you with an automatic discount that allows you to purchase Single Tutoring Sessions for the same price per session as the original tutoring package that you purchase. For instance, if you purchase the Deluxe Tutoring Package with an Elite Tutor at $99.99 per session and you end up needing a few more sessions, you can purchase those one at a time at $99.99 per session (as opposed to the regular $199.99 per single session price). When do I need to pay for the program? You will need to purchase your desired tutoring package before your first session. If you are unable to make the full payment upfront, feel free to take advantage of our financing options available through PayPal Credit. What materials will I receive as part of this tutoring program? Our MCAT Video Collection, which covers ALL the MCAT topics as listed by the AAMC. All ten of our online content modules (Biology I, Physics II, etc) as well as MCAT Bootcamp with customization. Create-your-own Study Plan Course, which includes our Create-your-own Study Plan Spreadsheet, Study Portal, and Score Tracker. Not too sure what package/plan is right for you? Andrew can help! If you have a unique situation, have a lot of questions, or are looking for a confirmation that you are making the right purchase, you will likely benefit from a live one-on-one chat with our Head Tutor, Andrew George. He has worked one-on-one with hundreds of diverse students and will carefully consider your unique situation as he answers your questions and provides a careful recommendation.